There’s nothing quite like being in the heat of the business day in and day out, but as professionals, one of the best growth tactics out there is to attend a conference. It’s here that we are able to network, find partners that work in synergy, and discover new clients to help find solutions to their workflow. Although the long days and the cold expo halls can get intense, there’s nothing that beats sharing memories with new friends who understand exactly why you’re in the business. After many years of exhibiting and attending conferences all across the spectrum, these six came in as our top favorites in terms of quality leads, professional yet friendly attendees, and innovative education. This one takes place every April in a new city and in 2018, they will be gracing San Antonio, TX. Come here if you’re looking to meet risk professionals and want a full-on three-day immersion of risk topics like handling a cyber crisis, workplace bullying, data mining, and how mobile apps are changing the insurance marketplace. Plus, you’ll have chances to network and support a good cause at cool events like the Spencer Education Golf Tournament or 5K FunRun. Holidays got you down? Then, sign up for NWCDC, which takes place promptly after Thanksgiving break in Las Vegas, NV. 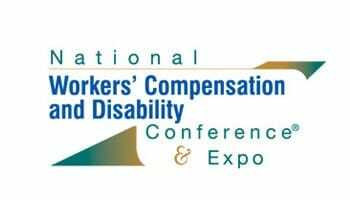 As the name suggests, this one focuses more on workers’ compensation, but you get to be in front of over 2,000 professionals who know a thing or two about a thing or two. This one is a newer conference and takes place in Austin, TX in the springtime. In an era where drones, autonomous cars, big data, and blockchain are prominent, the insurance industry has had to keep up with the changes. This conference focuses on the state of the industry and trends that are taking off. If you’re looking for the latest and greatest companies who are making moves in disruption, this one is for you. Leave it to CCWC to turn a worker’s compensation conference into a family affair. This one takes place at Disney’s Grand Californian Hotel and Spa in Anaheim, CA every summer. Although it doesn’t have numbers in the thousands, it’s the perfect size so that you can really network with everyone there and make true connections. The expo hall boasts just over 70 exhibitors and two full days of nourishing sessions. 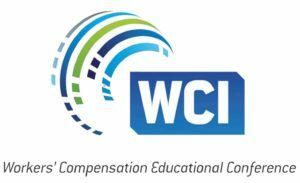 In 2018, WCI will be hosting their 73rd annual conference in Orlando, FL. They’re geared towards national workers’ compensation and occupational safety and health industries. Their goal is to unite all workers’ compensation issues regardless of where you live and the regulations you have to deal with. Want to stay up-to-date about all of the related trends and issues? Then WCEC is what you’re looking for. Word on the street is that they’ve upped the ante the past few years and this is the “it” conference not to be missed. Although this is one we have yet to attend, we have been apart of The Gavel’s events before and we can’t say enough great things about them. The Gavel is a national network of vetted attorneys and specialists for claims and risk professionals and the attendee list is actually made up equally of lawyers and their clients. With approximately 120 conference goers gracing Boca Raton, FL, this second annual meeting is not to be missed. Were there any conferences we missed? Let us know in the comments below!